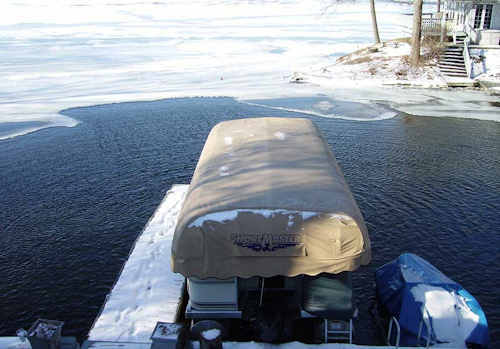 Our premium, time tested De-Icers eliminate and prevent ice formation around boats, docks, pilings, bulk heads, residential shorelines or any other property you need protected from damaging ice formation. 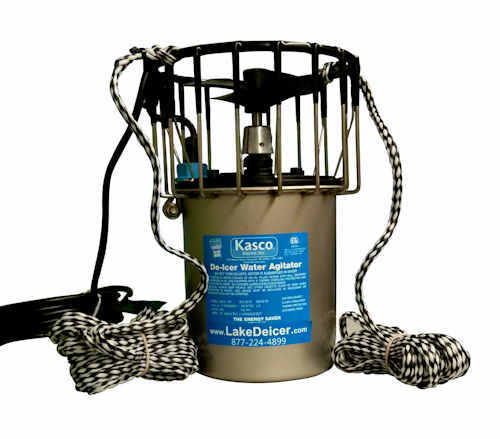 Kasco’s unique design provides superior flow and excellent energy efficiency to solve your de-icing needs in a cost effective manner. *Small bodies of water, the Great Lakes, and extreme northern climates may see less open water areas. There are many reasons to consider de-icing for your pond or lake. Keeping even a small area open can prevent devastating winter kill situations where entire populations of fish can die. Open water can attract wildlife and birds including ducks that would otherwise be long-gone once ice sets in. 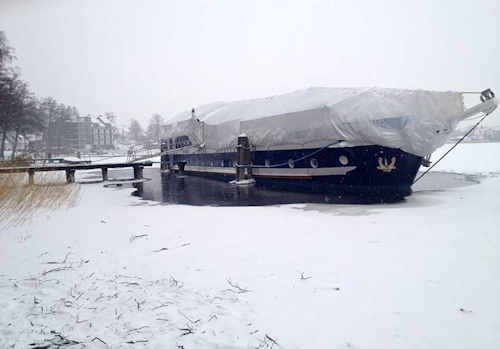 De-icing can protect property and waterfront areas such as docks, boat lifts, and swim platforms. De-icers can keep your pond or lake healthier too by helping maintain proper dissolved oxygen levels in the water.